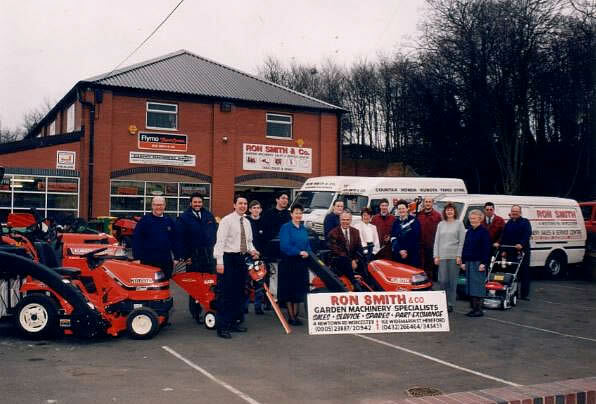 This year, Ron Smith & Co is pleased to be able to celebrate our 50th Anniversary. The company began in 1967 and is still going strong in 2017, providing 50 years of specialist service to countless individuals and businesses in Worcestershire, Herefordshire and beyond. To commemorate the occasion, we are revealing more information about the history of the company over the course of this year. Below, you can see a timeline of the business, with several key events and old photos showing how things have changed! In 1960 Ron Smith attended his first service course - this was at R.A. Lister, the historic Costwolds-based agricultural machinery manufacturer, headquartered in Dursley, Gloucestershire. At that stage, Ron was learning the trade that would become the foundation for his business over the next half century. 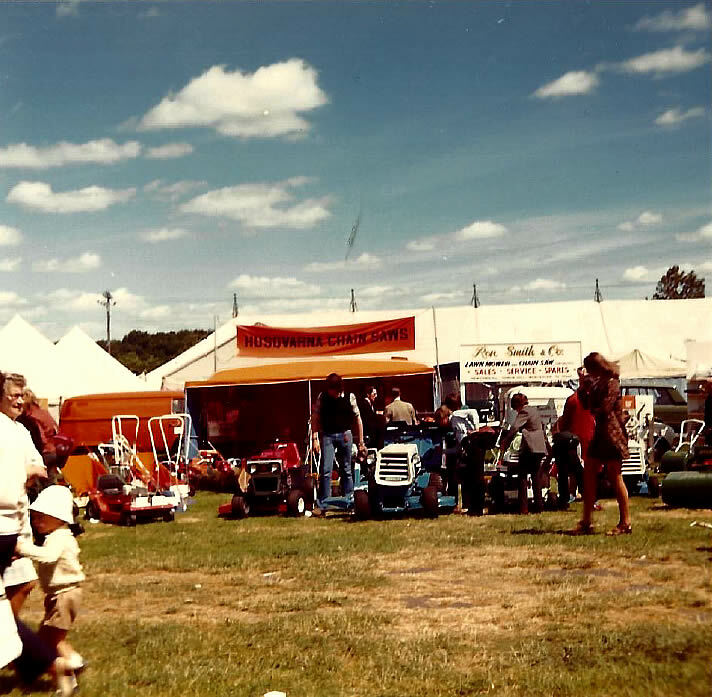 At this point, Ron was working for the well known Worcester-based agriculatural machinery company J C Baker, and in this photo you can see his son, Mark, in attendance at their stand at the Malvern Three Counties Show - the first of many, many visits! 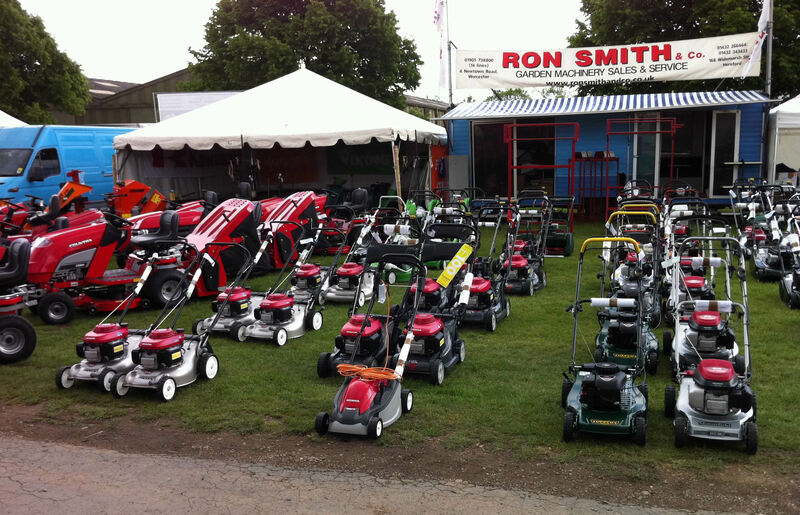 In 1967 Ron started trading on his own. 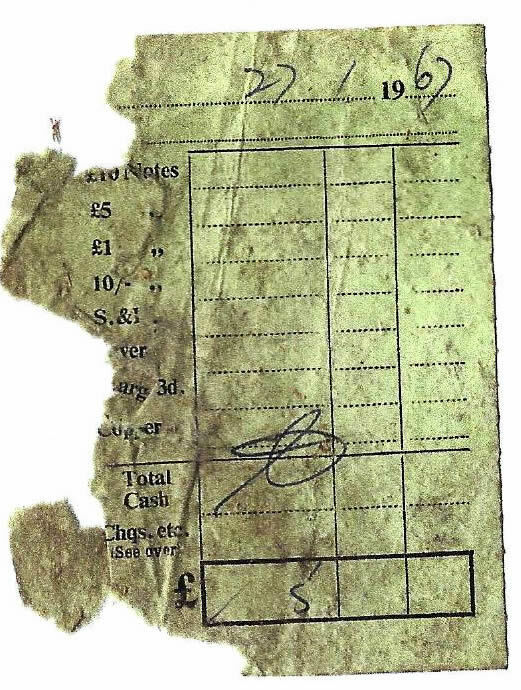 The first paying in slip for the business, pictured below, is from January 27th, 1967, for the sum of £5, and paid into Midland Bank, on Worcester High Street. Here you can see Ron's first van for the business, a Morris Minor 1000. This was primarily to allow him to make onsite repairs. The text logo was designed and painted by Ron's wife, Gina. 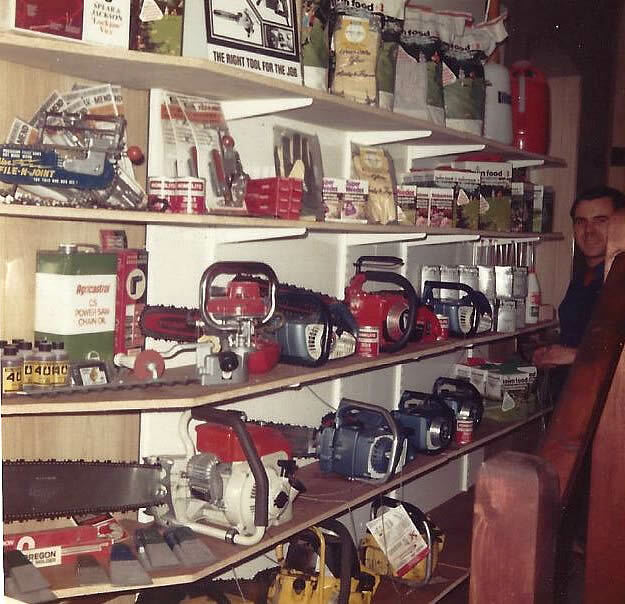 This image shows the very first display in store of Homelite chainsaws. These include the Homelite XL-12, which is actually still available (in a much more modern form) even today! This picture shows Ron, his son Mark and daughter Dawn on a Toro Triple 68, which was delivered to Mr. John Evans, for use at the Bromyard Cricket Club. This Volkswagen single cab pick-up truck was Ron's first, allowing him to bring machinery back to his workshop in Worcester. You will just be able to see that on top of the truck sits a cylinder lawn mower, advertising Ron's service. 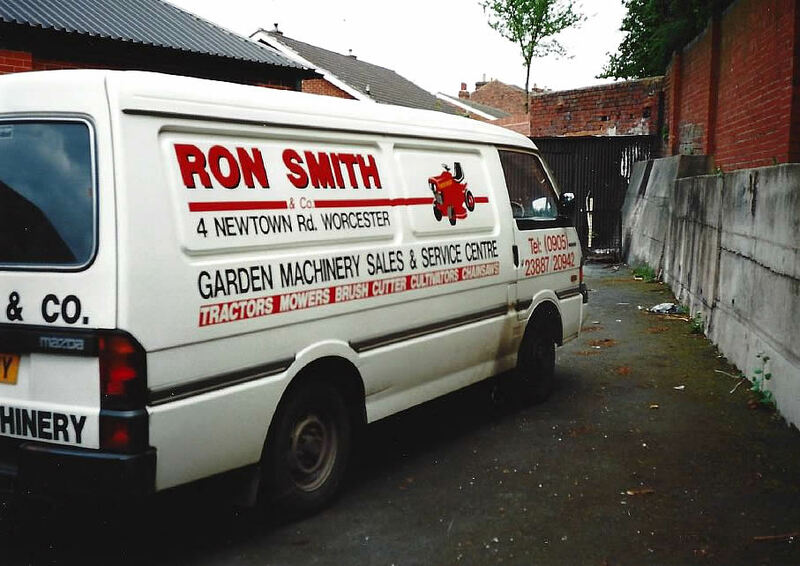 As with his first van, the signage on this vehicle was by Ron's wife, Gina. 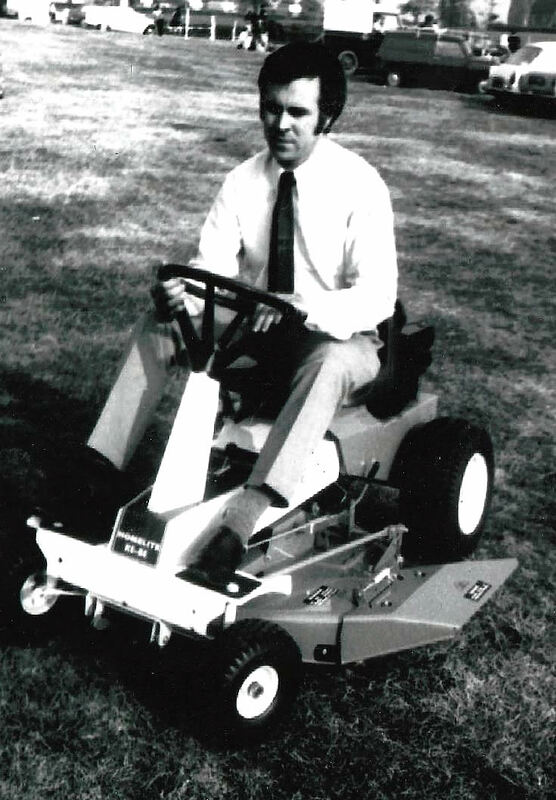 This was Ron Smith's very first ride-on lawn mower to be sold to a customer. In this case, it was a Toro Pathfinder, for a customer in Callow End, Worcester. 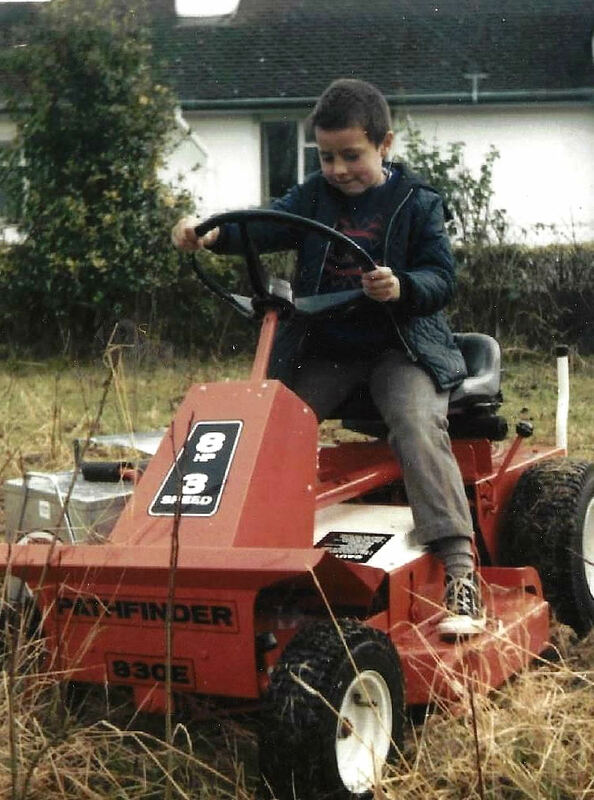 In this photograph you can see that even now, Ron's son Mark was showing an early interest in the world of garden machinery! Here he is pictured with that Pathfinder model, aged 8. 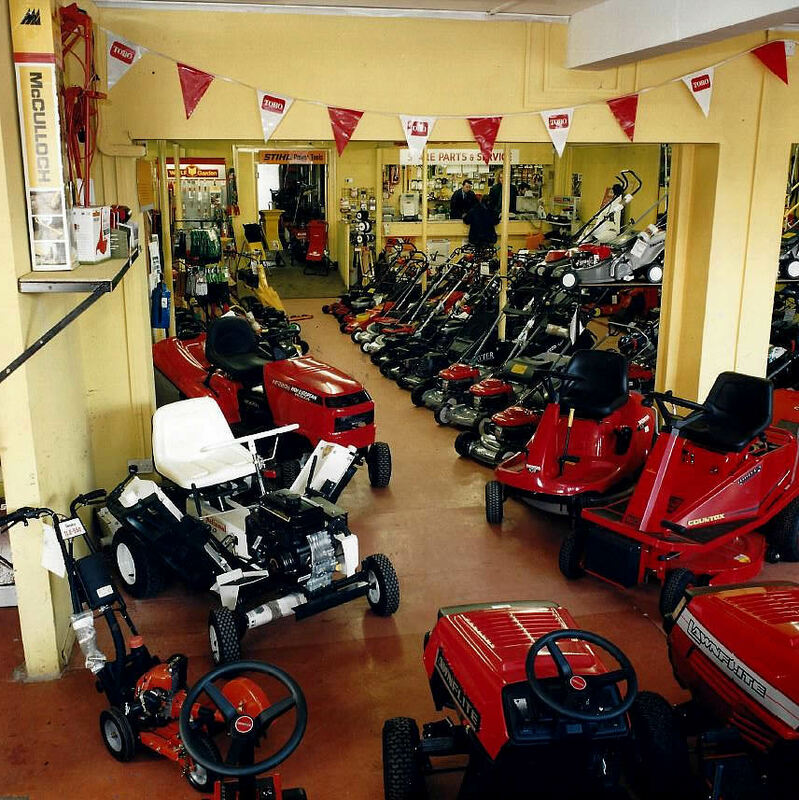 Another landmark for Ron's new business, this was the first Westwood ride-on lawn mower sold. 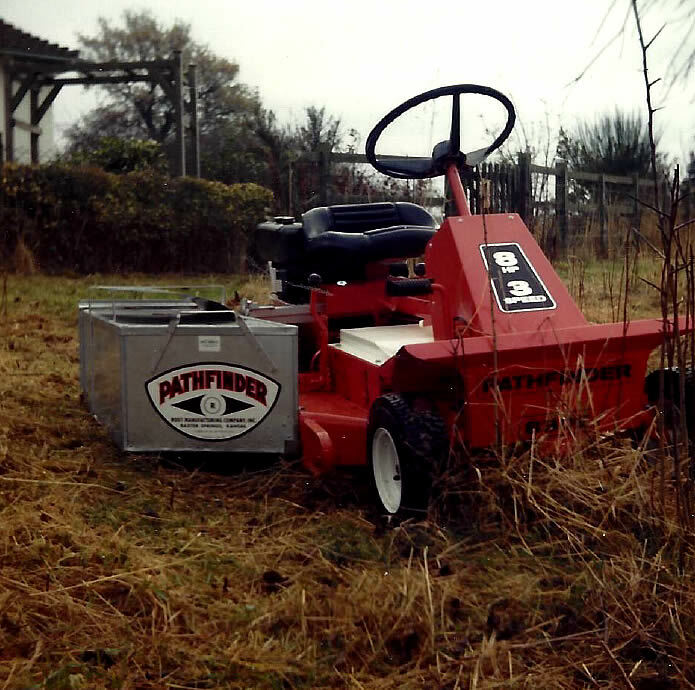 It's a Lawnbug, which was Westwood's highly manoeuvrable mower available at the time for a fantastic price. This one was sold for £182! They are now extremely sought after for lawn mower racing - a sign of just how agile and nippy they were. In this picture you can see another ride-on sold, this one a Homelite T7, which had a 7 hp Briggs & Stratton engine. Here you can see Ron in his element, ably demonstrating another Homelite model. 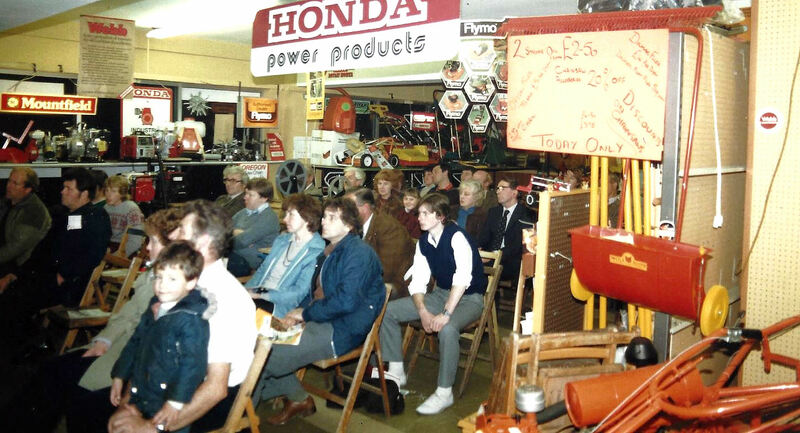 Here is an early example of one of many exhibitions by Ron Smith & Co at the Three Counties Show, this one in conjunction with Husqvarna. 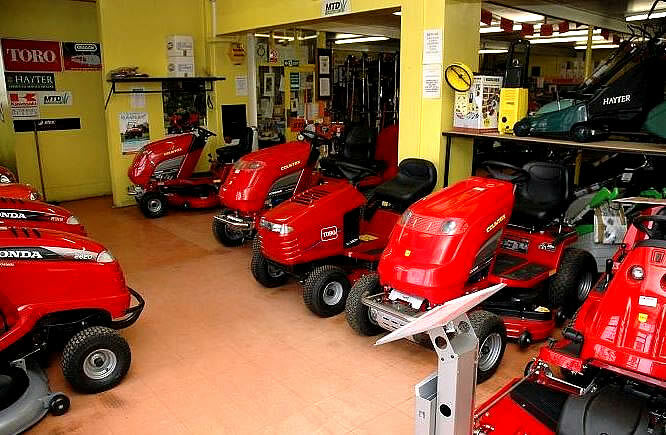 We have been regulars at the event for decades, showing a selection of the latest machines and the best deals in the region! About this time a new showroom was being considered for construction in Worcester. Here you can see the land purchased. Visit us today and see how much it has changed! 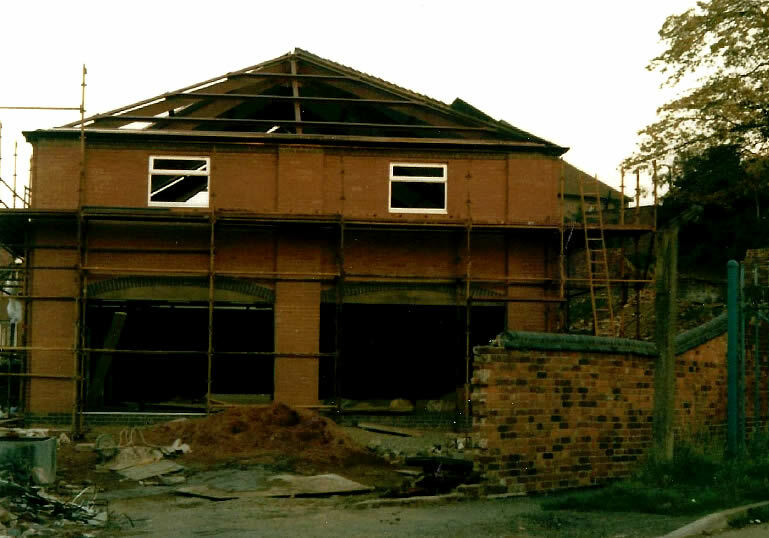 In 1983 work was well underway on our current Worcester showroom. In this picture you can see it taking shape. Here you can see one of our chainsaw clinics at the newly opened showroom in Worcester. 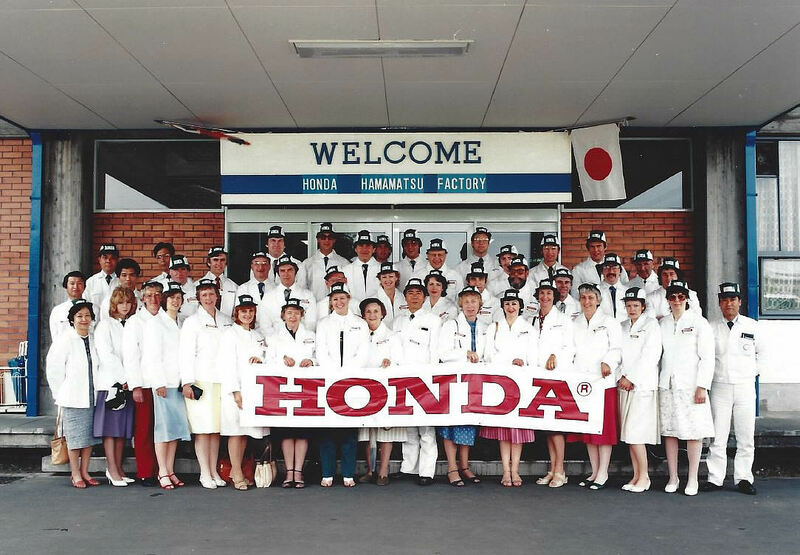 This year Ron was also invited to visit a Honda factory in Japan. Here you can see the staff assembled in front of their building, in Hamamatsu, to welcome the guests. This was the birthplace of the Honda brand. This picture shows a great look inside the newly built branch at Worcester. Also a fantastic photo as you can see a brilliant range of what would now be vintage machines. The company has always been expanding and replenishing its selection of vehicles. This image shows a Mazda from the 1990s, used at the Worcester branch. 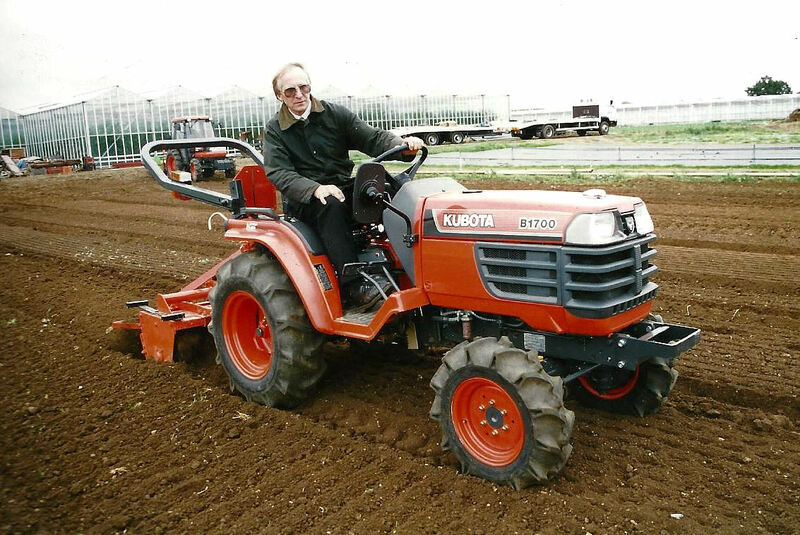 Here you can see Chris from the Hereford branch at the time, showing off a Kubota B1700 at a special Kubota Demo Day. This wonderful staff photo shows you the Worcester branch staff from the middle of the 1990s. You may be surprised to know that some of these people are still working with us today! In fact, it is a key part of the business to have friendly and familiar faces our customers can trust over a number of years. 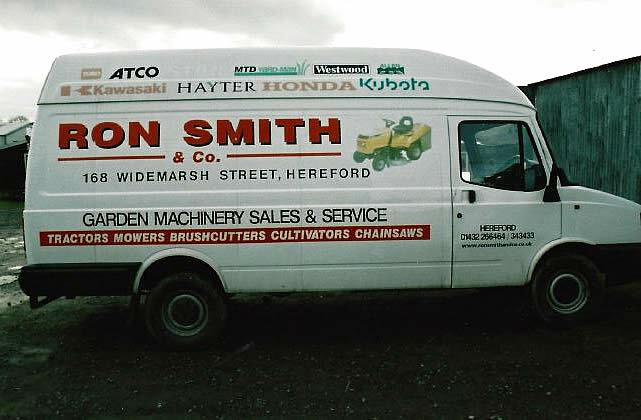 Here you can see one of Hereford's fleet of vans from the 1990s, ideal for taking some of the larger machines to customers and picking up for servicing. 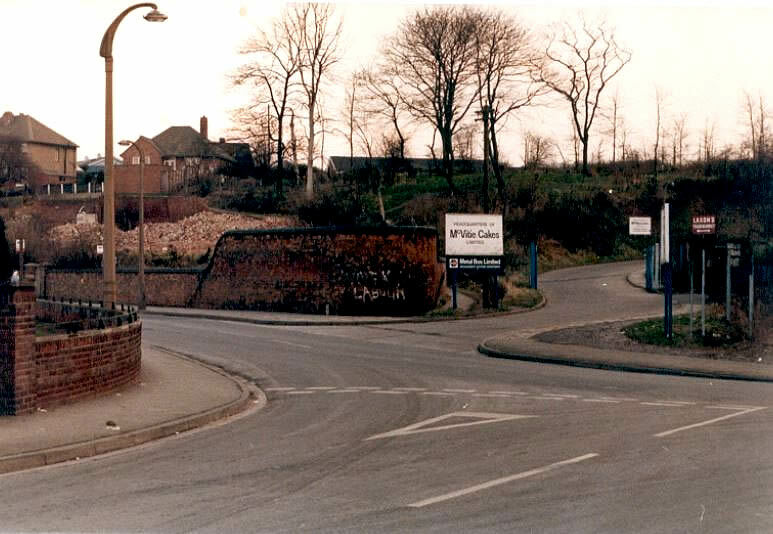 A look at the old Hereford branch in this photo, which is quite different from the one in existence now (which you can see in the 2016 entry). This photo shows our Autumn Show stand at the Three Counties Showground, from 2006. 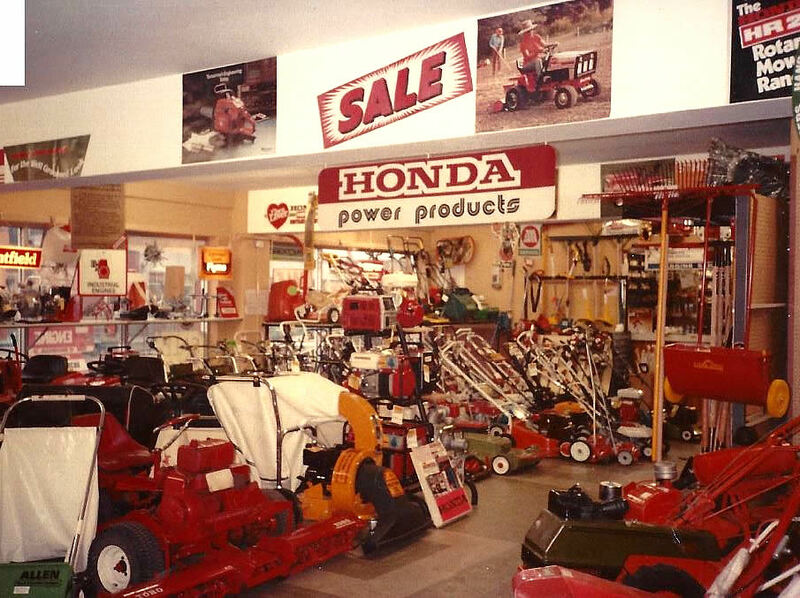 Here is another look inside the Hereford branch, showing some Toro and Honda ride-ons we were featuring prominently at the time. In a few years, the new showroom would begin construction. 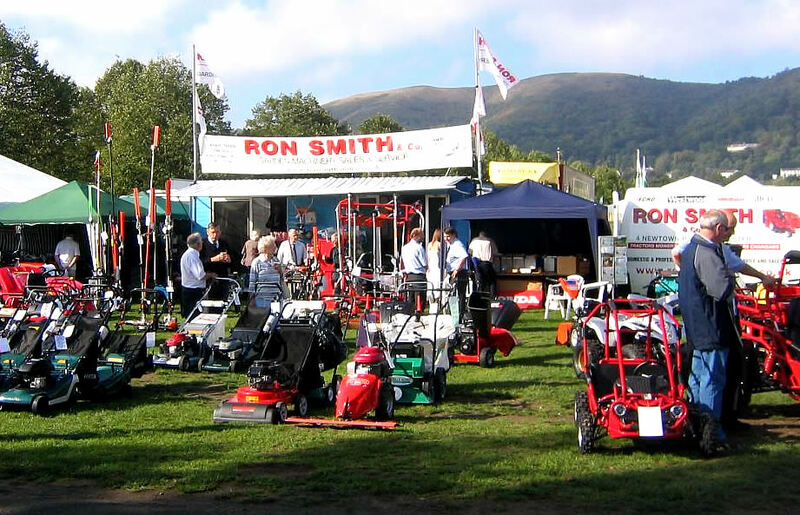 We have been exhibiting every year at various events at the Three Counties Showground in Malvern, and this photograph shows our stand from the Spring Show in 2011. 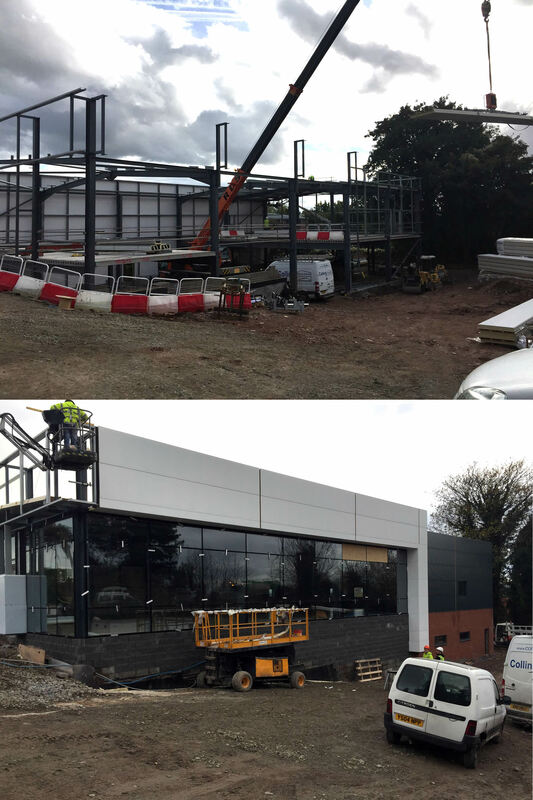 These two photos show the progress underway at this point to our new Hereford branch. Our brand-new Hereford showroom opened to the public. As we have been over the previous decades, in 2016 Ron Smith & Co again featured at the Three Counties Showground. 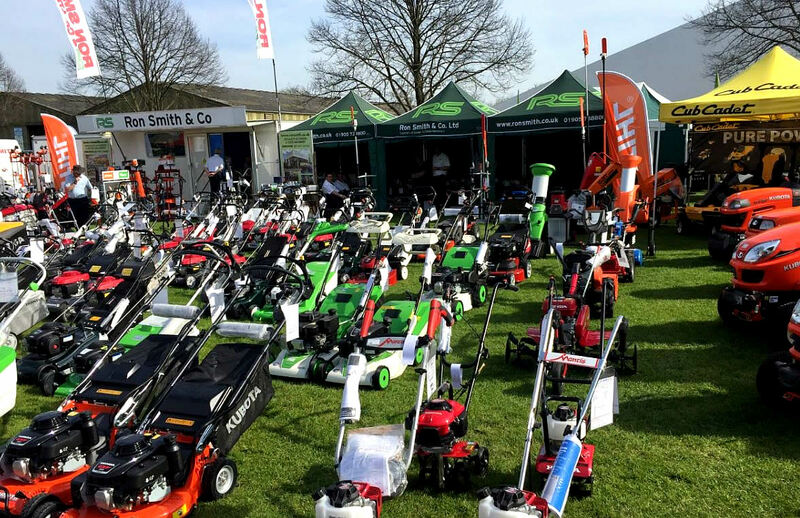 This was the Malvern Spring Show, with a wide range of machinery available at great prices, and a Cub Cadet stand visible too - one of many such partnerships. 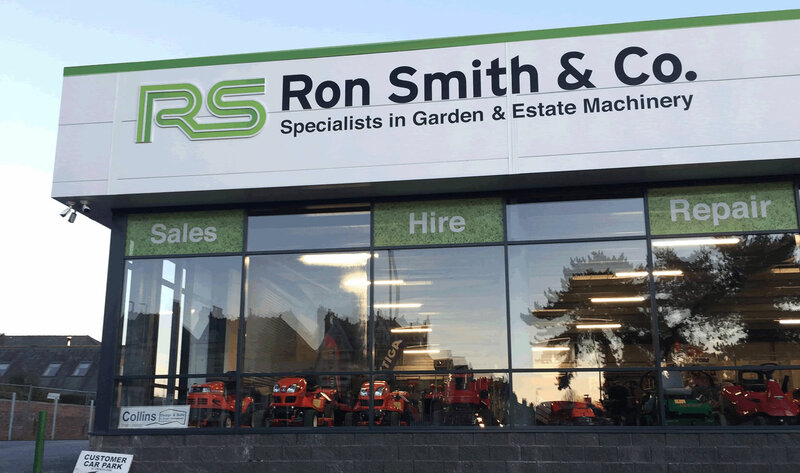 With 50 years of experience behind us, we like to think people in Worcester, Hereford and beyond have come to trust Ron Smith and the garden machinery company he began in 1967. What the future holds, no one can know, but we very much hope to still be offering a key service to people and businesses across the West Midlands for many more years to come.